Facebook takes utmost care of their users but we also need to take some care about our privacy. As we all know that a coin has two sides that the Facebook has also got both the good and bad people on it! I strongly say think before sharing anything on Facebook because some people on Facebook are making use of these images of other Facebook users for the bad things for online and offline usage. 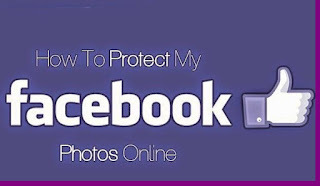 The only thing we can do to protect our Facebook photos is setting the album privacy to only our friends! But what about the people who had so many people as their friends! 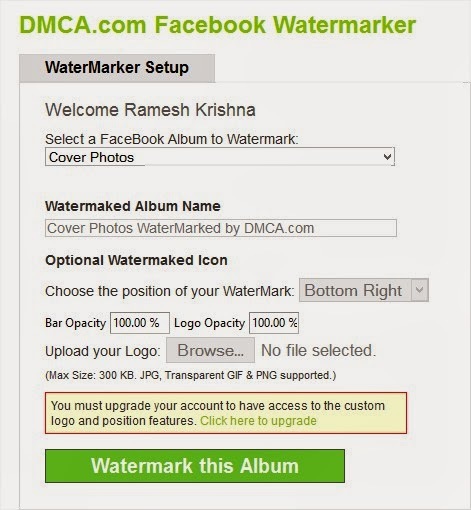 Watermark is a simple way to stop others from using your images for bad things. You might me be getting a doubt “Will this stop spammers and bad people from using images?” The answer to your doubt is it can’t stop the spammers and bad people from using your images but you can stop to some extent. Because most of the spammers want bulk amount of images downloaded which are not watermarked and then use them for their work, as they don’t want to waste time on editing your images! 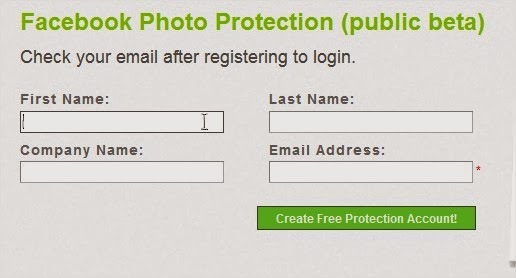 This way we can stop the spammers from using the images to some extent. The DMCA is the short-form of Digital Millennium Copyright Act. DMCA helps the original copyrighted holder to protect their work from being used by the other people. 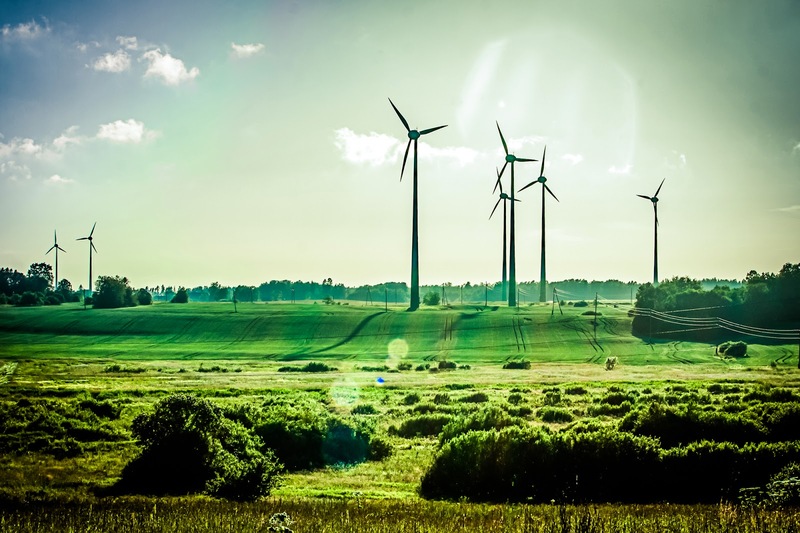 The work can include blog content, videos, pictures, websites, games. DMCA also lets you to file a case in complete legal way against those who copied your work. 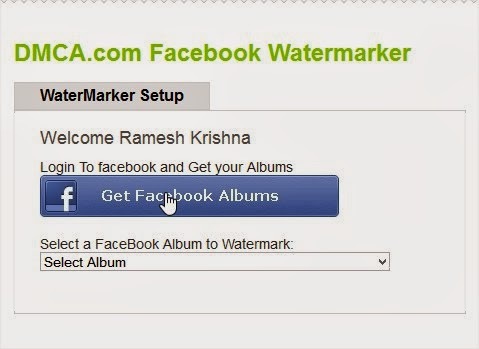 After completion of registration Facebook watermark tool from Here or if you are redirected to the watermark page after the registration yourself then its fine. After grating the access to get the images, select any album from Dropbox menu. Hit on Watermark this Album and you are done. That’s it all your images will be watermarked with DMCA logo. 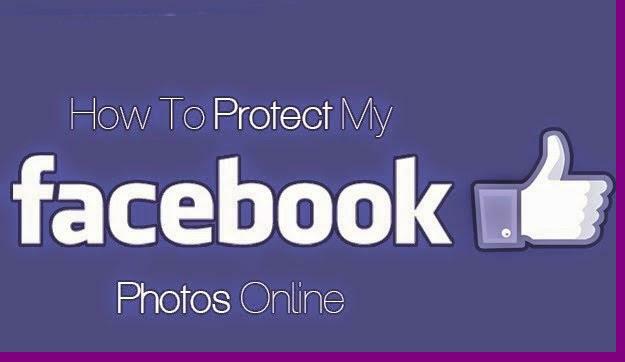 This was all about to protect and secure your Facebook Photos. We are sure that after applying these tips most of your concerns related to this issue have been removed now. Furthermore, if you have any questions left related to this issue then do let us know. We shall get back to your queries as soon as possible. Till then don’t forget to share this guide with your other friends and circle too.